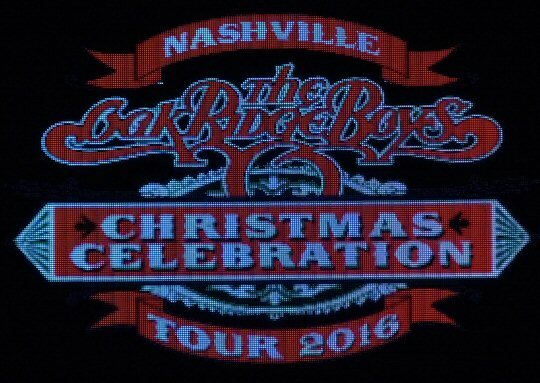 The legendary Oak Ridge Boys returned to Nashville, Tennessee on December 23, 2016. The quartet presented their popular Christmas concert to a packed house at the Schermerhorn Symphony Center in the heart of Downtown Nashville. For 27 years the award winning, Country Music Hall of Fame members have been celebrating the holiday season with a mix of classic and contemporary songs that run the range from festive, to religious to romantic. William Lee Golden – country music’s Kris Kringle. 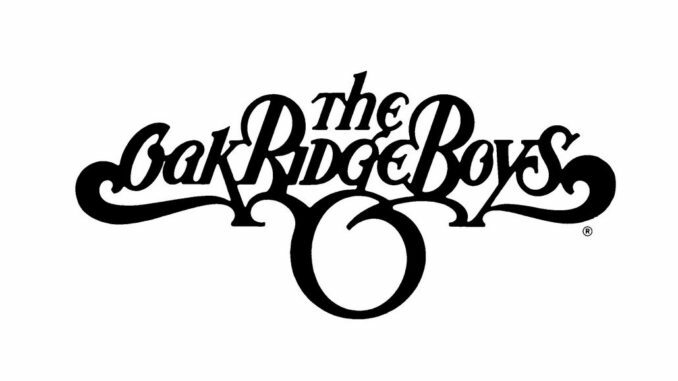 The Oak Ridge Boys represent a tradition that dates back to the 1940’s. The original group started out in Knoxville, Tennessee performing country and gospel music in nearby Oak Ridge which eventually led the singers to regular gigs at the Grand Ole Opry. The Oaks lineup changed over the years but in 1973 Duane Allen (lead vocals), Joe Bonsall (tenor), William Lee Golden (baritone) and Richard Sterban (bass) joined forces to become a multi-platinum selling band that is still going strong. 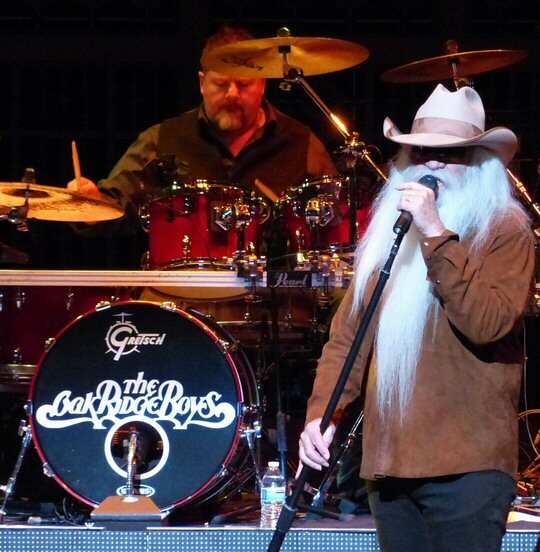 The Oak Ridge Boys already have a full tour schedule in place for next year. So if you missed Celebration 2016 mark your calendars for 2017. The Schermerhorn was decked out in garland, lights along with a number of Christmas trees on stage below its impressive pipe organ. We even spotted reindeer in the room. Holiday music echoed in the venue before The Oaks backed by a sizable and solid band came out asking “how’s everybody doing”. They opened with the inspiring “Everyday” that showcased their masterful multi-part harmonies. “So nice to be home,” they said while thanking folks for coming out so close to Christmas. “Beautiful building,” they observed before mentioning that this was their first time performing at the Symphony Hall. Next, “American Made” flowing into “Come On In” were catchy crowd pleasers that had the audience clapping along. 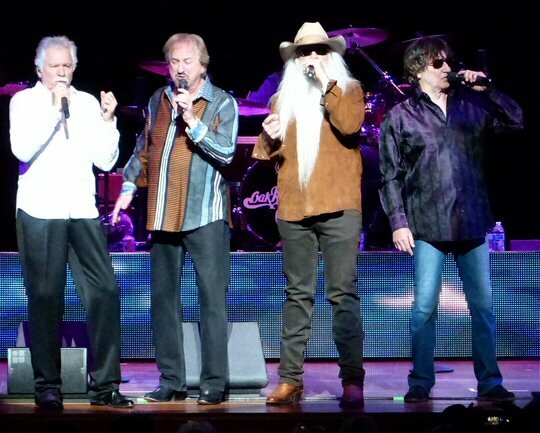 The Oak Ridge Boys still going strong at the Schermerhorn. Other highlights of their first set was a fluid version of “Roll Tennessee River”, a sentimental and subtler “Thank God For Kids” which ended with the comment “thank God for grandchildren” which earned the quartet a standing ovation. Folks remained on their feet for an energized “Elvira” – still a feisty country flavored tune to finish part one of the show on a fun note. The Oak Ridge Boys also used lighting and visuals to enhance their polished presentation. The second half of the concert featured holiday music starting with the cheerful “Christmas Time’s A-Comin’ ” followed by a countrified “Jingle Bells” with the trees on stage changing colors with the music. “White Christmas” the Bing Crosby classic was pure magic with four voices and speaking of singing Richard Sterban’s deep voice along with blue tones set the perfect mood for “Blue Christmas”. Richard had learned the song from The King (Elvis not Jesus in this case). “Christmas Cookies” was flavorful and fun. While stating that Santa was real who should appear but St. Nick? As The Oaks sang about the man in red Santa gave out hats and hugs to children who had been invited to the front. As Mr. Claus finished up there was a quick set change so that a fireplace and four chairs could be placed center stage. 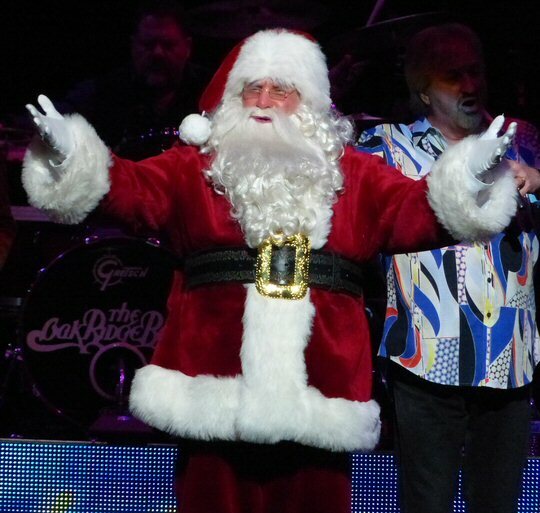 The Oak Ridge Boys have become a beloved Christmas tradition. The Oak Ridge Boys took their seats with a shout out to Cracker Barrel who supplied the rocking chairs and who also have been selling The Oak’s music in their stores for years. “The Fireside Chat” has become a popular segment of the Christmas Celebrations. Each man took a turn to share a treasured memory about Christmas, family and favorite carols such as “Silent Night” and “Beautiful Star of Bethlehem”. “That’s Christmas To Me” was a new song from their 7th Christmas album that was released about 2 months ago. The rockers were removed with an acknowledgment to The Oaks’ crew along with a reminder that the reason for this season is their Lord and Savior Jesus Christ. The next spiritual song was a request to heal our broken world followed by the moving “Mary Did You Know” listing the many things Jesus did such as walking on water, healing and saving the world. “Jesus Is Born Today” was an upbeat Happy Birthday to the Messiah that flowed into the closing number “Joy To The World”. The Celebration 2016 blended the best of modern and traditional hits along with Christmas songs presented by the Oak Ridge Boys who along with their talented team are still in top form and will be back on the road in 2017 delighting audiences of all ages. The Nashville Symphony’s mission is to inspire, entertain, and educate through excellence in musical performance. They achieve this through community programs, concerts such as The Oak Ridge Boys, education, films and more Upcoming events at the Schermerhorn Symphony Center include Harry Potter & The Sorcerer’s Stone, Holst’s The Planets, Dancing Through The Centuries, Video Games Live, Let Freedom Sing and The Music of David Bowie. On the eve of his busiest evening Santa made it to Music City.